"Success is messy. Career visions spill into lifestyle choices, mash into spiritual paradigms, and ride on top of relationships. It’s all interconnected and paradoxical. And promising." Every fire needs some heat … you ready to turn up the temperature? 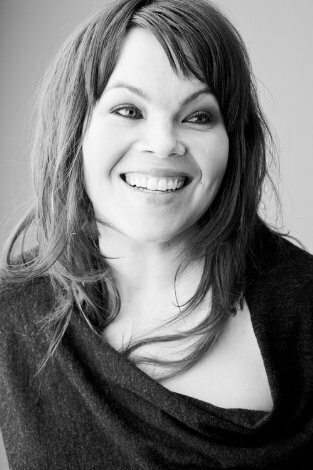 Before The Fire Starter Sessions was crafted, the original Fire Starter, writer, and business strategist Danielle LaPorte, spread her spark o’ genius by convening with fellow freedom seekers in living rooms, boardrooms, and even pole dancing studios across North America to discuss the collision of business and the creative soul. The fiery aura of those live sessions was captured in Danielle’s book, along with inflamed inspiration and actionable insight. If you are feeling unclear about your conscious calling, allow Danielle to kick you in the tush – lovingly, of course. This maven will challenge you to up your game and bump your career and lifestyle vision up a notch or three. If you’re ready for a blast of clarity, a surge of heat, and finally, a reevaluation of what success means to you – light your torch and read on, my friend. You’re a Fire Starter now. "If you try to keep your most sacred ambitions off of your calendar and your most genuine traits off of your resume, then you’re missing out on the power of real integrity." When’s the last time you celebrated your idiosyncratic-isms? It’s been a while, eh? We live in a world where it is normal to Photoshop our eccentricities out of photos and relationships. We hide weaknesses. We gloss over insecurities. In the workplace especially, we cover up tattoos with Oxford shirts, steer clear of controversial conversations that may close doors, and worst of all, we hide our true passions – right under the dusty fax machine. Who faxes nowadays anyway? Your contradictions make you gorgeously multidimensional. If you want to live boldly and spherically, take your whole self into the future, without hiding integral elements of your life – your faith, your scars, your light. So how do you show up in the office? What about your home? If you’re showing up as two different people, you may be hiding pieces of your whole self. "If it doesn’t light you up, you’re not the right person for the job." I used to believe that being well-rounded equaled mega success. I was even voted Best All Around in high school because that’s what I thought mattered the most. Barf. It’s an easy trap to fall into and can lead down a dark path far distant from the actual things that make you feel like a supernova. Like writing. Or cluster ballooning. Or problem solving. You get the idea. Allow yourself to unabashedly shine in the core areas that truly make you feel electric. Ditch the rest. Be ridiculously inept at Excel. Stop trying to act like Martha Stewart even though entertaining makes you want to curl into the fetal position. Allow yourself to burn lasagna … and then laugh about it, of course. But push, push, push forward with your desires. Your passions. Your light. If you’re used to the well-rounded life, this new drive and perspective will lead you into unchartered territory: the new masterful you. "The easy way is a direction that leads to spacious places." No pain, no gain, right? That’s what I always believed until reading this enlightened lesson. If you’re hitting a ginormous brick wall every single time you work on project X, maybe it just isn’t into you. In other words, if you have to try really hard to be good at something, you’ll never hit Rockstar levels of success. And isn’t that what we are all aiming for? If you follow the metric of ease and tap into your true strengths, you will have the ability to feel powerful and create work of mammoth proportions. Let it be easy. Allow your energy to focus on the work, not the battle. Ask yourself these questions: Does this come easily to me? Or, does this make me feel weak? These questions will guide your work and daily purpose. Of course, this philosophy does not give you permission to slack off and watch reruns of Seinfeld on the couch – just because it’s easy. You still need to work your buns off on the work that matters, the work that makes you stronger, the work that will make a difference. Yes, crushing competency and choosing ease are important, but there are numerous other valuable lessons in this book that have resonated with me. They will probably resonate with you as well. Nowadays, I find myself trying to embrace my eccentricities, focus on ease, and allow myself to be a complete failure in things like cooking. Luckily, my husband makes a killer risotto. Keep your fire ablaze, fellow Fire Starter. Spread the spark. What would your life be like if you did only what was easy?